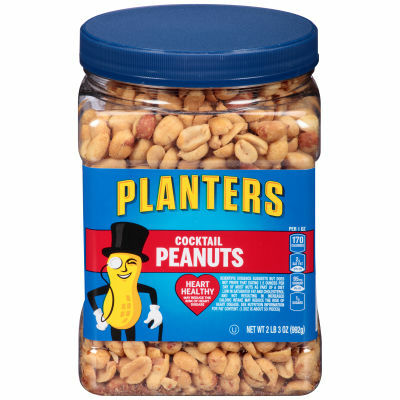 Enjoy a quick and easy snack with Planters Cocktail Peanuts. Each peanut is shelled, skinned and seasoned with sea salt, making them perfect for every occasion. - These cocktail peanuts are a good source of fiber, and vitamin E, providing a smart choice for a mid-day pick me up. Incorporate them into your meals or enjoy them on their own for a flavorful and nutritious addition to your diet.